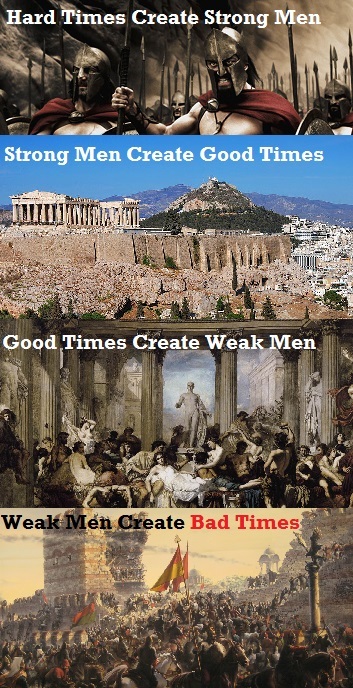 Good Times Coming To An Abrupt End? My son wanted to know why it is that Venezuela (a topic that gets discussed around the dinner table at home) chose such painfully, obviously asinine policies. After much thought I explained it thus. I'd seen it before somewhere and so I dug it up. Here it is in a different form. We bipeds don't change. I've come to realise not to fight it, just see it for what it is and make sure you're positioned accordingly...for your friends family and those you care about. Speaking of which, you should consider joining our family. 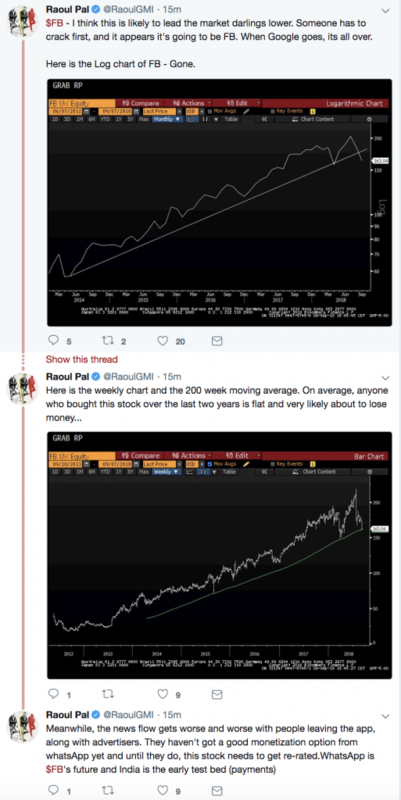 No special offers, no steak knives, no wild ridiculous promises - simply rational analysis and positioning for a macro world we've never encountered before. EVER! That's both exciting and terrifying at the same time. At literally everything. We buy high, sell low, look to what Johnny next door is wearing, what car he drives. We get taken in and scammed by shysters, we believe in the unbelievable. Which brings me swiftly to EM where fund managers desperate for yield dived into the fire over the last few years. Now the inevitable pain is hitting as default fears mount for "BATS" as the emerging-market rout deepens. 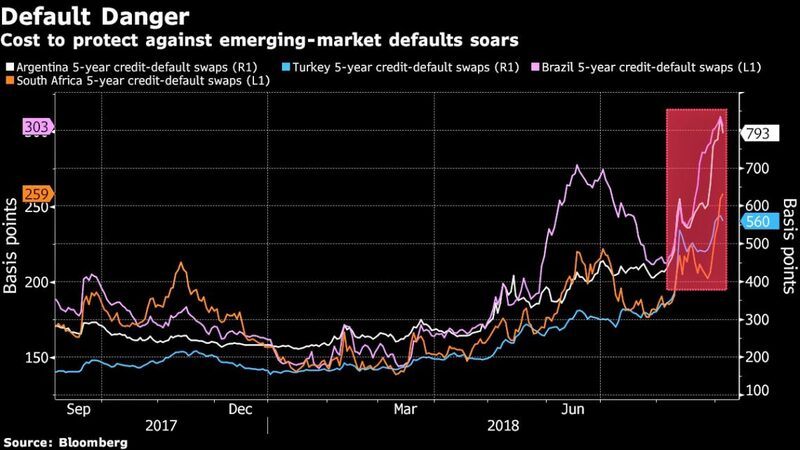 Turkey’s implied default odds climbed to highest since 2008 and over in the land of great steaks default risk in Argentina is ...ahem...substantial. Argentina’s implied default probability over the next five years climbed this month to 41 percent, the highest since Mauricio Macri’s government ended the nation’s decade-long legal battle with most holdout creditors. Turkey’s implied default odds during that span rose to 31 percent, the highest since the 2008 global financial crisis. Brazil’s implied default odds increased to 18 percent, the highest since the country’s worst-ever recession deepened in late 2016. South Africa’s implied default odds soared to 15 percent, the highest since Donald Trump’s election in November 2016. Not to skite but we promised you this in "The USD: A Collapsing Star… And A Journey To Hell"
Here's the Greenback vs the South African Rand. Things are not looking good for Africa's "strongest" economy. Actually if you want to know why Africa has been such a basket case... and indeed why SA is now heading down the same path as many of its African counterparts, then go read my article from wayyy back in 2016 titled "Collateral Damage"
The economy contracted -0.7%QoQ in Q2 vs expectations of +0.6% growth. Q1 growth was revised lower from -2.2% to -2.6%. THIS baby is one we've gotten our teeth into for a host of reasons. 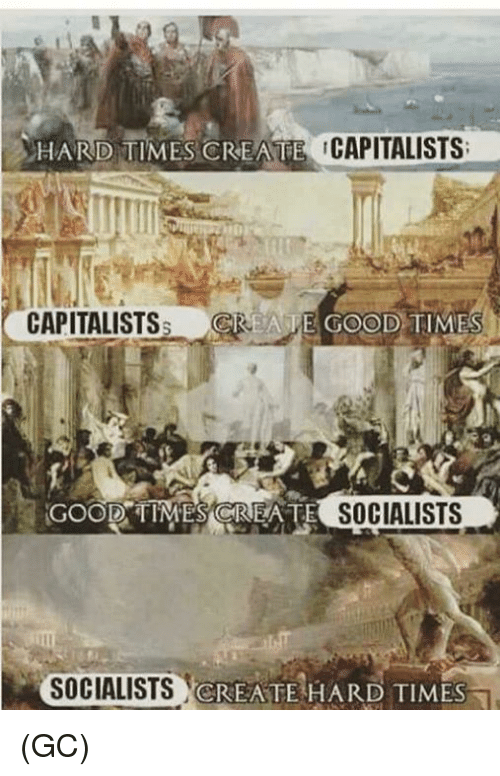 Let's just say that bad times are coming. Very bad. We put together a short webinar on South Africa for you. Check it out here. Which was by and large the journey for Elon. It seems that Elon Musk sooo wants to be like Tony Stark but instead he's just another middle aged pudgy fraudster who doesn't get enough sunshine. Here's the stock Which is about $263.24 overvalued right now. Never mind their newly appointed Chief Accounting Officer just resigned...after LESS THAN A MONTH!! Since I joined Tesla on August 6th, the level of public attention placed on the company, as well as the pace within the company, have exceeded my expectations. As a result, this caused me to reconsider my future. Which is of course a crock of isht. What really happened is that in the 3 weeks of perusing the company's financials he fled in terror. It's what any reasonable person would do to ensure they escape jail time. I'll just remind you this is their 2nd CAO departure in less than a year. 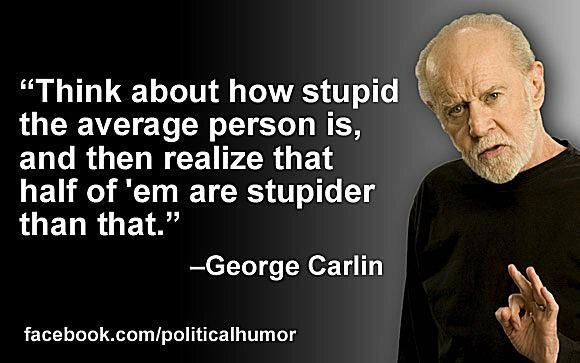 Which simply proves the point that Carlin was right all along. And let's not forget their head of people...or some stupid name they give for HR nowadays. She confirmed she's not coming back after "leaving to spend time with family". 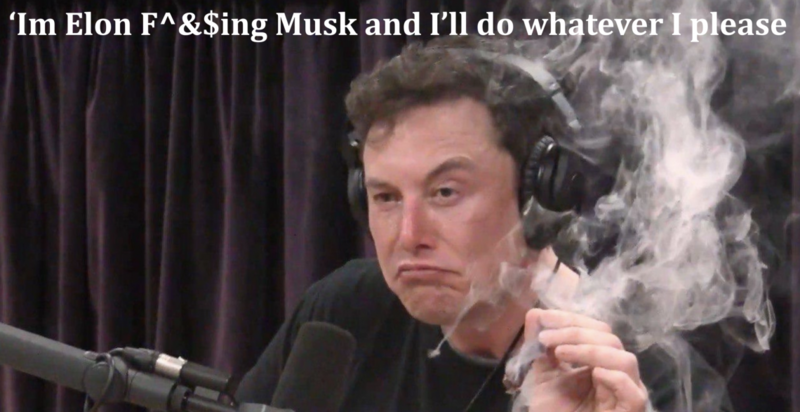 Pretty soon Tesla is going to be a one man band with just Elon. Still at least it now fits the bill as a marijuana stock...and THAT must be bullish no? Earlier this week I took aim at the social media giants presenting some arguments as to why their heyday is over. Check it out here if you missed it. Then this morning Raoul Pal sent this out. Same topic, same result. That's it for this wrapup. Thanks for reading and sharing.